Have You Seen Our Hot New Ranges For Spring 2015? We have just come back from Spring Fair and here are the three new ranges we launched at the show as well as the ‘wild card’ range we added literally in the last minute. All ranges were launched exclusively at the trade show, so here is more about them. First up is ‘Garden’. 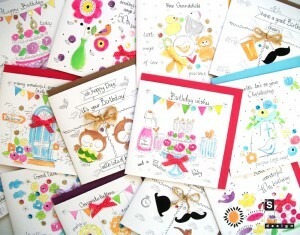 The range has 12 designs to cover the celebrated birthday milestones, including 65, 75 and 85 birthdays. We have used soft pastel palette with graphic accents. 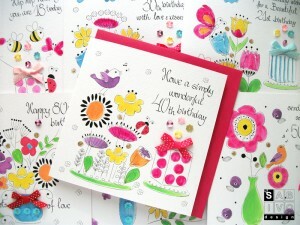 Every card is hand-finished with pastel cup flowers, cotton polka dot bows and hand-glittered with golden spots. The range was really popular with garden centres and independent shops and we are very pleased with the reaction. We also had a nod on the craft trend. ‘Gift Wrap’ is fresh modern range inspired by gift wrapping and fusing contemporary illustration with crafts. There are 6 female and 6 male open birthday designs. Our cards are printed in the UK and hand-finished with jewels and a craft/twine bow. This range was popular with quirky independent boutiques. Our final planned range is ‘Mon Chérie’. 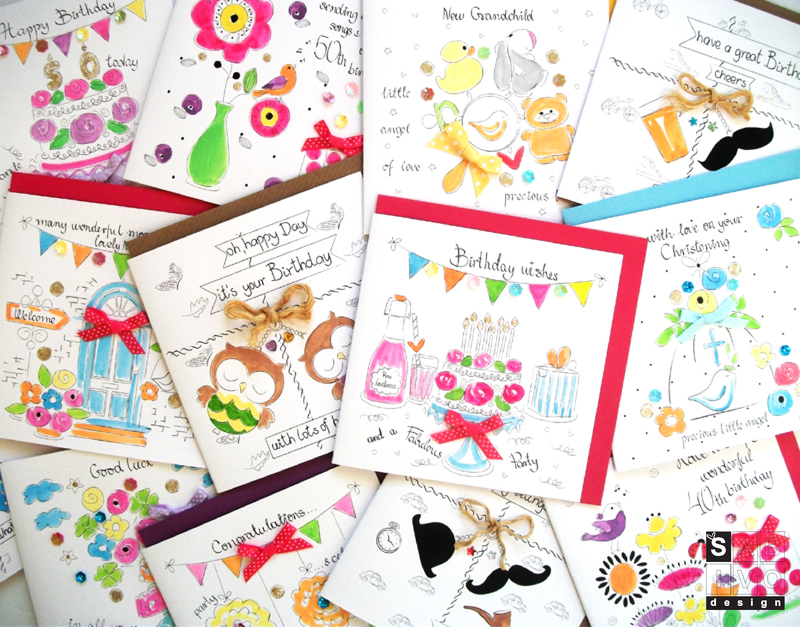 It is French inspired range with 40 designs across everyday and milestone Birthdays and special occasions like Engagement, Wedding, Anniversary and Babies. 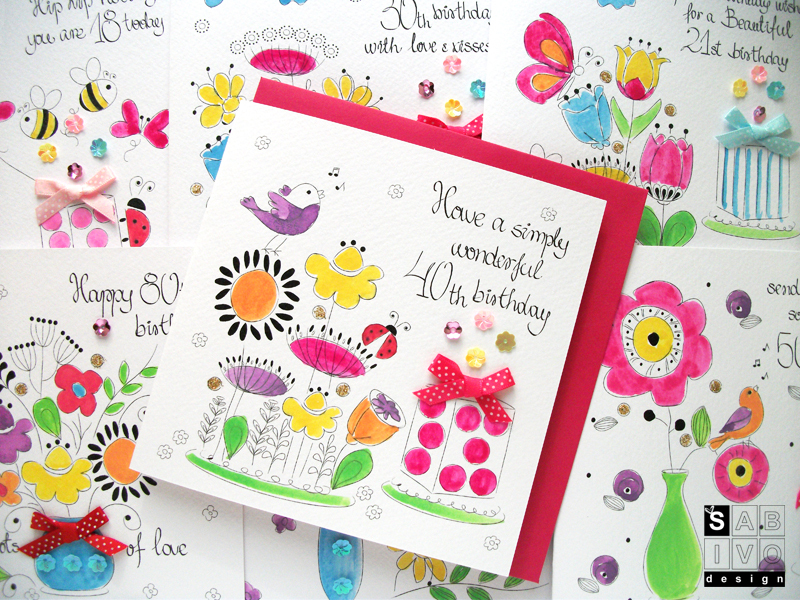 Our cards are printed in the UK and hand-finished with polka dot cotton bows, pastel cup flower jewels and hand-glittered spots. This is our first large range, which we launched without any preliminary test of the ground so to speak. We had such an excellent reaction from department stores and independents with elegant and feminine gift and product offerings that we are really pleased the gamble has paid off. The cards may soon fly far away as well but we shall keep you posted. Last but not least is ‘XO’ range. This fresh, modern range is inspired by current social and design trends. 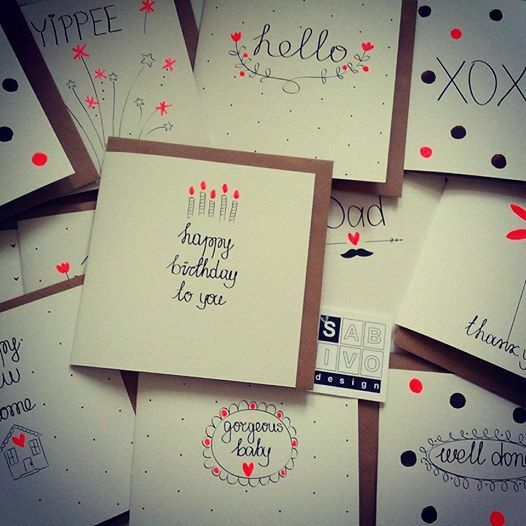 It fuses simple typography of handwritten messages with ornaments and drawings, which are really hot at the moment. It has contemporary feel where graphic captions are enhanced by pop of neon red colour. 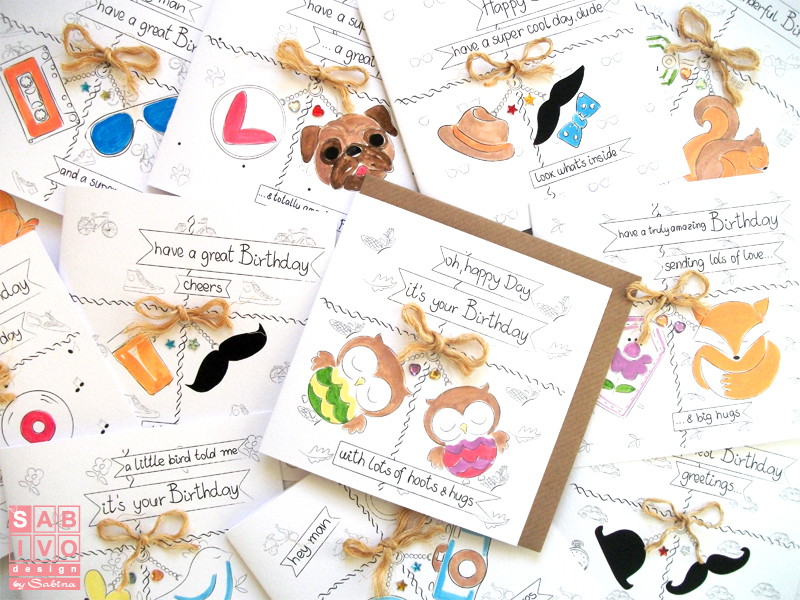 There are 12 designs, from birthday to occasions and as usual the cards are printed in the UK. Personally, this is my favourite range and I called it my ‘wild card’ as I happen to come up with it just 2 weeks before the show. The reaction on this range was amazing and I can’t wait to share where it is going. It has been so successful that as soon as we manage to ship all orders I am back on the drawing board as there is a queue for further designs. The only problem with this range is that neon does not photograph well. My homework now is to find a way to show it better in the catalogue and if any of you lovely readers know a trick or to about neons, please share. I shall be most obliged for your help! So, this is the range showcase we had at the current trade show and the reaction we got on them. I am very excited about their future. Don’t forget that all our ranges are available directly from us and you can view the entire collection on the trade side of the SABIVO Design website.